After years of investigation, officials in the Czech Republic have uncovered a gruesome tiger slaughterhouse where dead animals were being processed for sale on the black market. 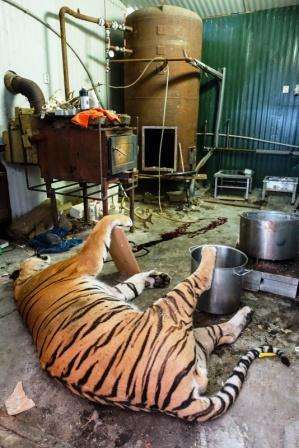 Operation Trophy discovered the facility in Prague, exposing a criminal network that was selling tiger parts for use in traditional Asian medicines. Thankfully, the team managed to identify those allegedly involved. 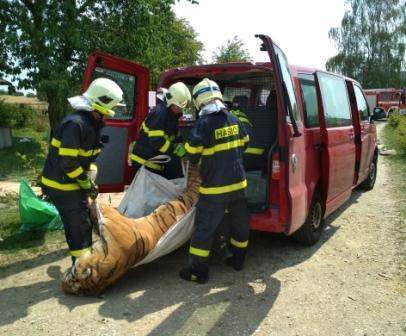 Le Xuan Vu, a Vietnamese trader, would order tigers from big cat breeder Ludvik Berousek, who would then hand them over to hunting enthusiast Milos Hrozinek. Together, Hrozinek and Vu would then dismember the animals. The three men have been charged. Hrozinek is currently in custody while the other two are out on bail.